This Beef and Barley Stew is made in the slow cooker, and can definitely make your evenings a little less hectic. So simple to make, you literally put the ingredients in the crockpot and walk away for several hours. 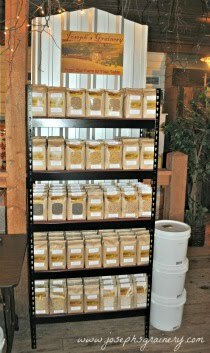 With Joseph's Grainery brand Barley, you can eat some of the best barley grown on the Palouse - from our farm to your table. 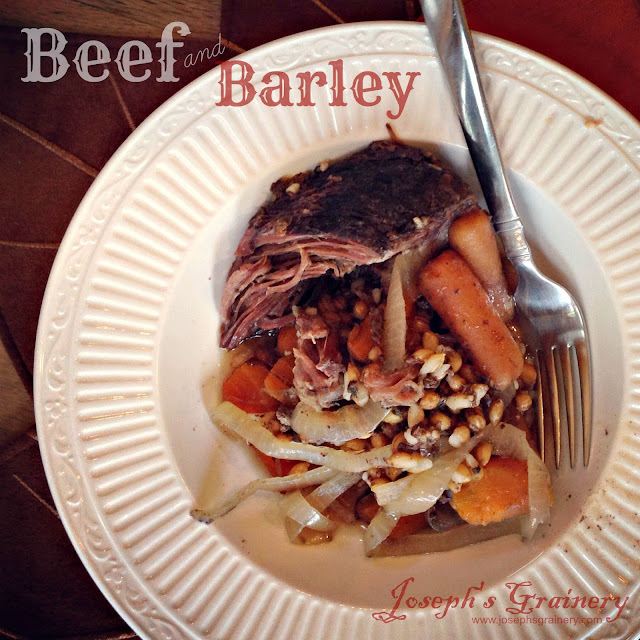 So simple and easy, this slow cooker recipe for Beef and Barley Stew will surely become a staple in your family's menu. Remember, with Joseph's Grainery Unhulled Barley, you must soak it overnight prior to cooking. With this recipe, if soaked, the barley can cook for the same amount of time as the other ingredients in the slow cooker. Place all ingredients in the slow cooker in the morning, let cook on low for at least 8 hours.